Comfortable but somewhat dated aesthetics, elevated by exceptional service and dining experience. Japan Airlines (JAL) is one of the two main airlines of Japan, with ANA being the other. Along with its oneworld partners Cathay Pacific and Malaysia Airlines, JAL primarily operate flights throughout Asia. Qantas, also a oneworld member, operates daily flights to Japan from Melbourne and Brisbane on its Airbus A330, which can be redeemed using Qantas Frequent Flyer points. 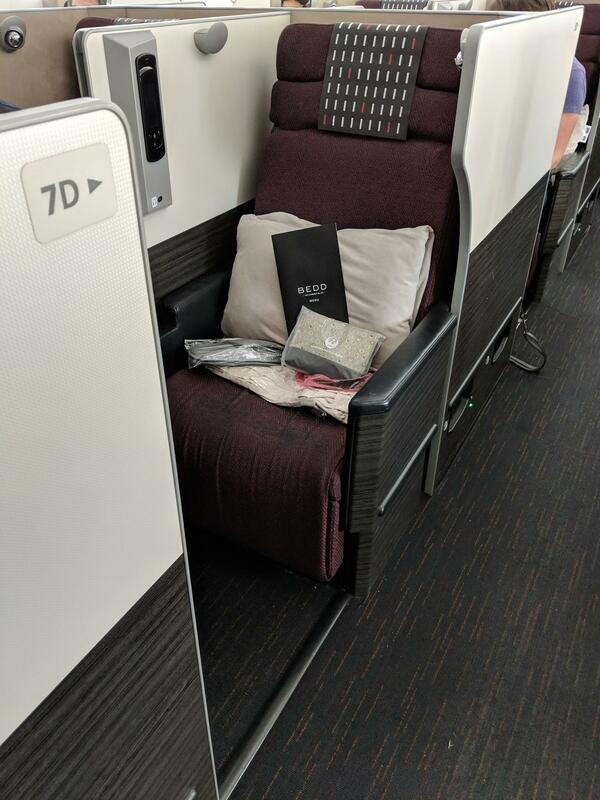 This guide reviews the JAL 787-9 Dreamliner Business Class. 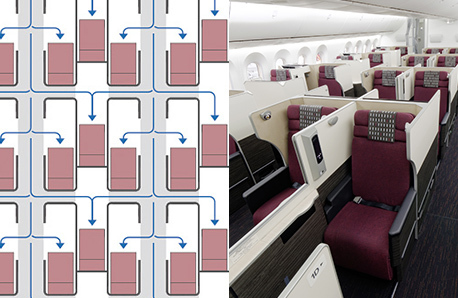 Japan Airlines fleet of Boeing 787s offer includes 42 Business Class seats in a 2-2-2 configuration. 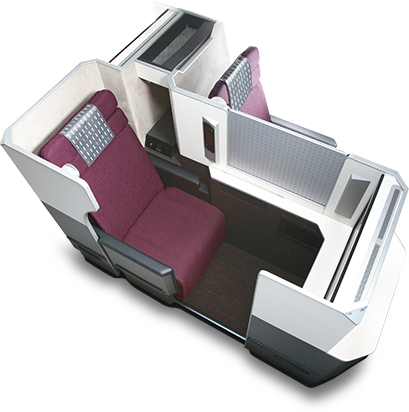 Unlike most Dreamliner Business Class cabins, Japan Airlines’ unique Sky Suites (not to be confused with the Sky Suites III pictured above) includes provisions for two additional seats in a uniquely designed 2-2-2 configuration compared to the conventional 1-2-1 arrangement. 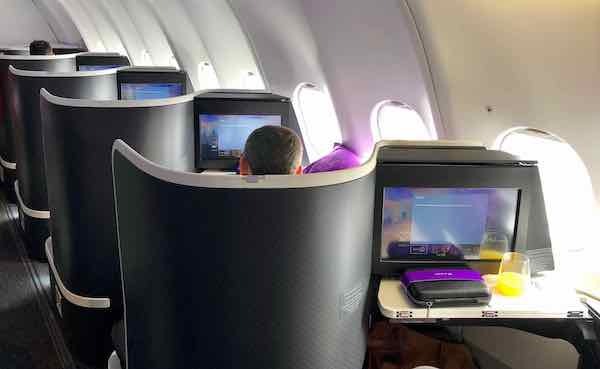 Despite the seemingly tight quarters of window seats (rows A and K), the Sky Suites have been cleverly designed to allow window passengers to slip in and out without impeding aisle guests. An added benefit for window passengers is greater privacy, giving a feeling of an enclosed cabin compared to those on the aisle. The suite is made up of warm white accents with dark wood fixtures. 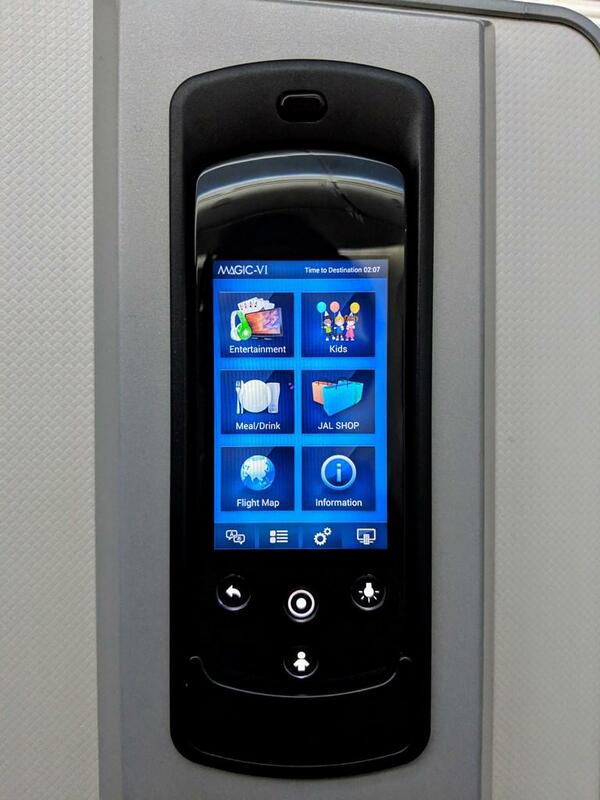 Each suite is fitted with a USB port, video input and an AC power outlet. 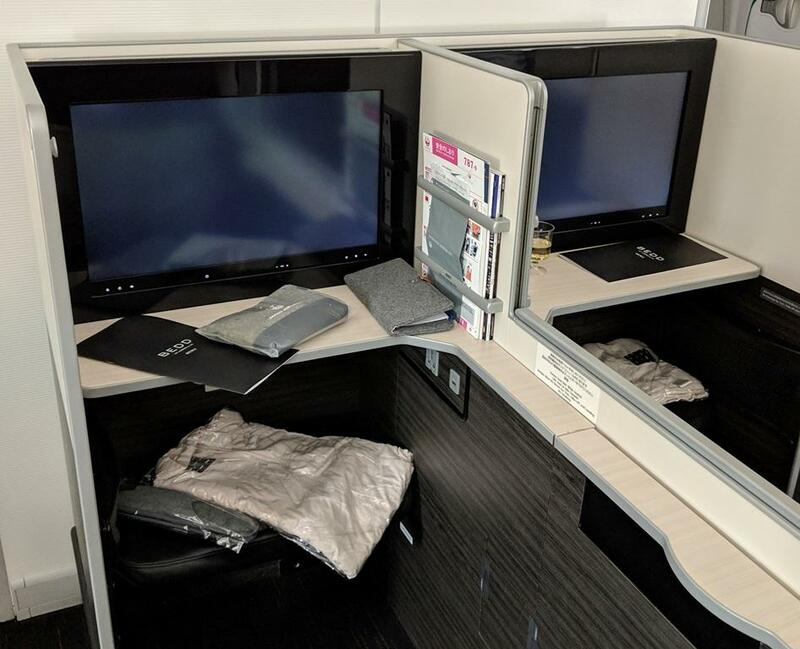 Japan Airlines Business Class cabins look somewhat dull, outdated and lack the refined luxe aesthetics in comparison to its competitors. However, the Sky Suite makes up with its minimalistic design language, extensive menu and customer service. 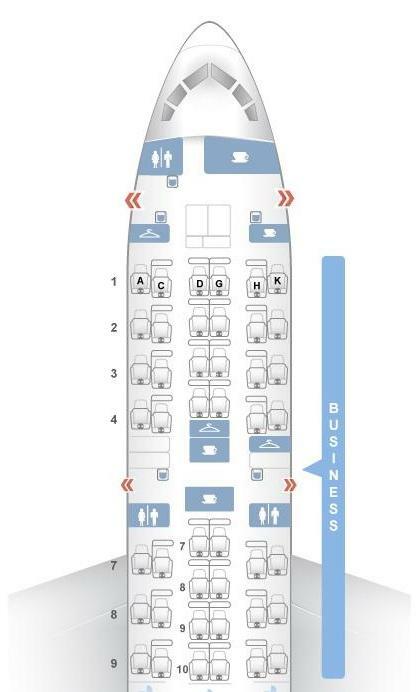 A quick glance of the seats may have you thinking the cabins are narrow in length. 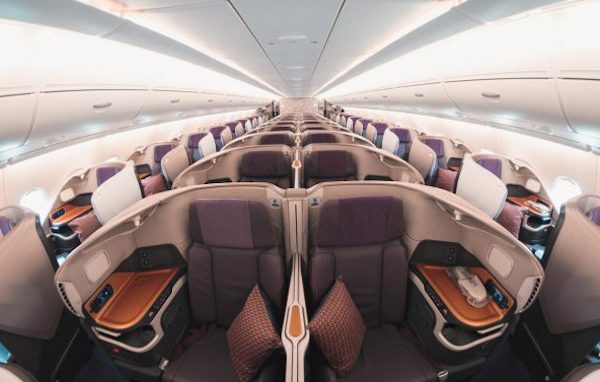 Once settled, the observed space is comparable to the seats on Qantas’ A330. 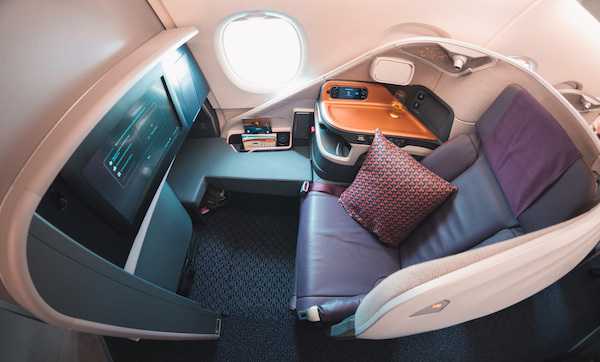 Despite seats being 3cm narrower and 10cm shy of the A330’s 2m flat-bed, space is comparably generous, providing ample leg room with sufficient space to stow your carry-on luggage beneath the footrest. Passengers travelling together can lean over to chat with their travel partner by opening the automatic dividing panel. On this particular flight, we were placed in seats 7D and 7G (due to our flight being cancelled), rows which I usually avoid due to the close proximity of the lavatory. Nevertheless, we didn’t experience any issues on the flight. 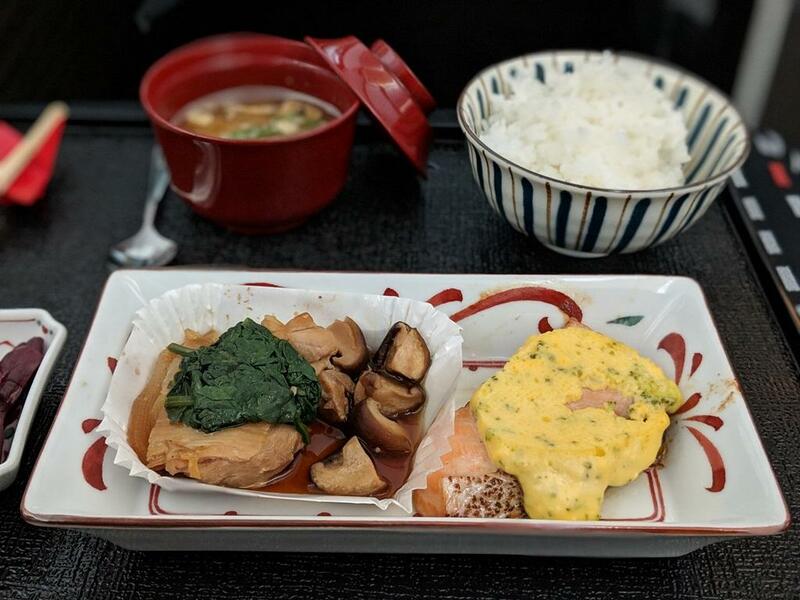 Personally, I prefer meals on Asian operated flights than Western airlines. 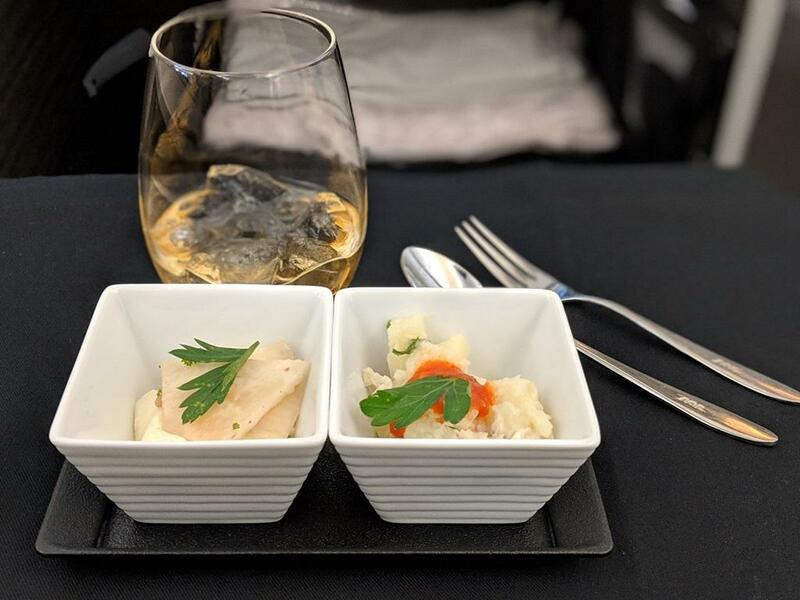 Japan Airlines provides passengers with a unique dining experience, options include a Japanese, Western and a ‘Anytime you Wish’ menu. Further to this, I happily found the food on the return flight from Narita to Melbourne to be better. Passengers can order food from the ‘Anytime you Wish’ menu up to an hour prior to landing. 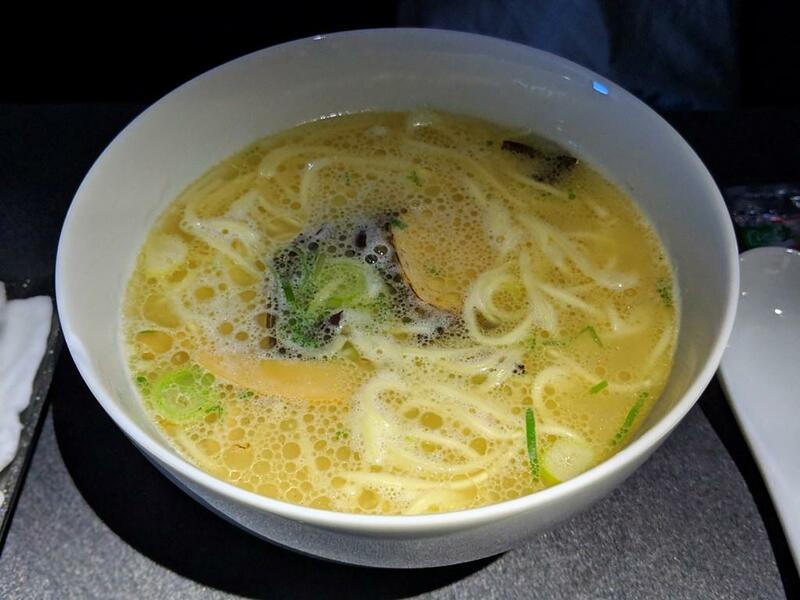 Featured is the JAL Original “Japanese Soba Noodles Tsuta” Ramen Noodles in soy soup. Overall word of mouth and online reviews of Japan Airlines have been positive. 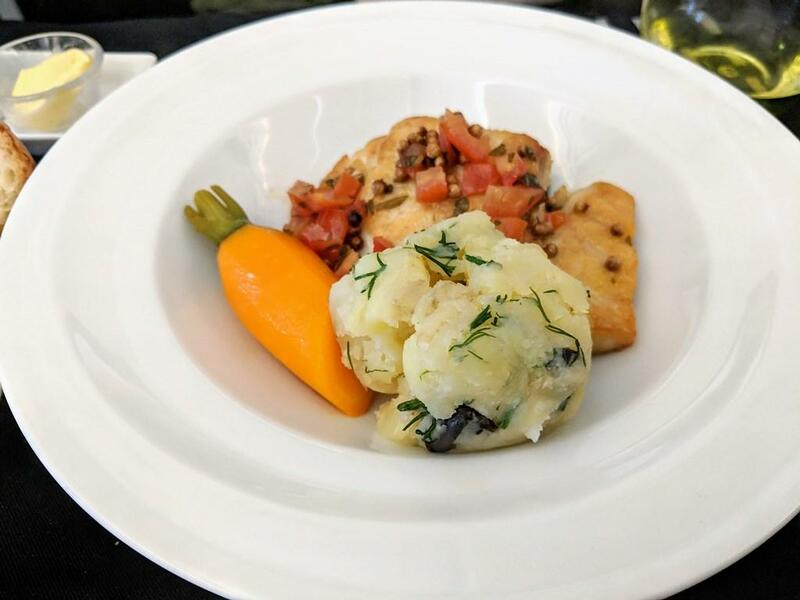 Given this was my first experience with the airline, I was pleasantly surprised by the professionalism and willingness of the staff to accommodate and provide passengers with a memorable experience. Case in point, after it was explained to JAL staff that I missed a connecting flight from Haneda to Sapporo (booked on a separate ticket) due to a cancelled flight. JAL staff personally attended the situation and successfully rescheduled the flight without additional cost, even arranging a staff member at the arrival gate in Haneda should the connecting flight be cancelled due to the snow storm. 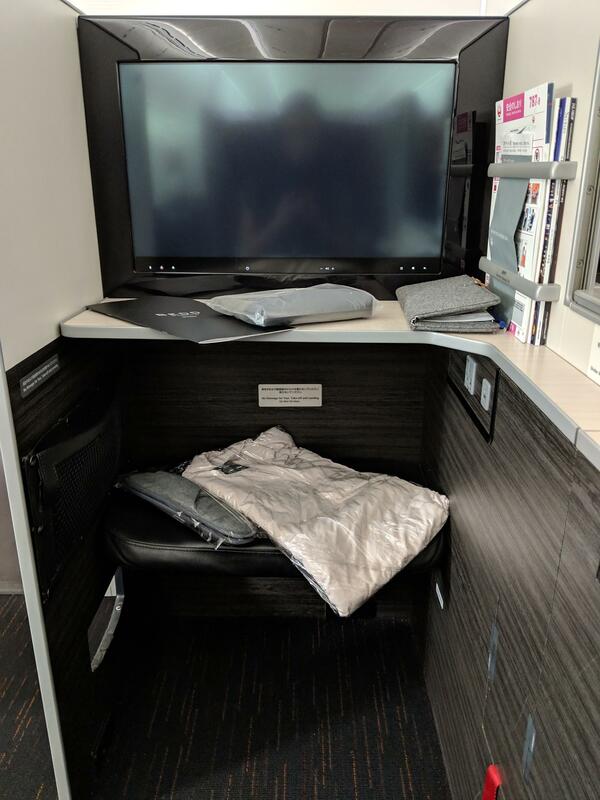 The cabin design provides an immersive onboard entertainment experience, especially with the large 23-inch TV. Passengers can access a diverse library of movies, audio programs, games and digital books, including Manga. 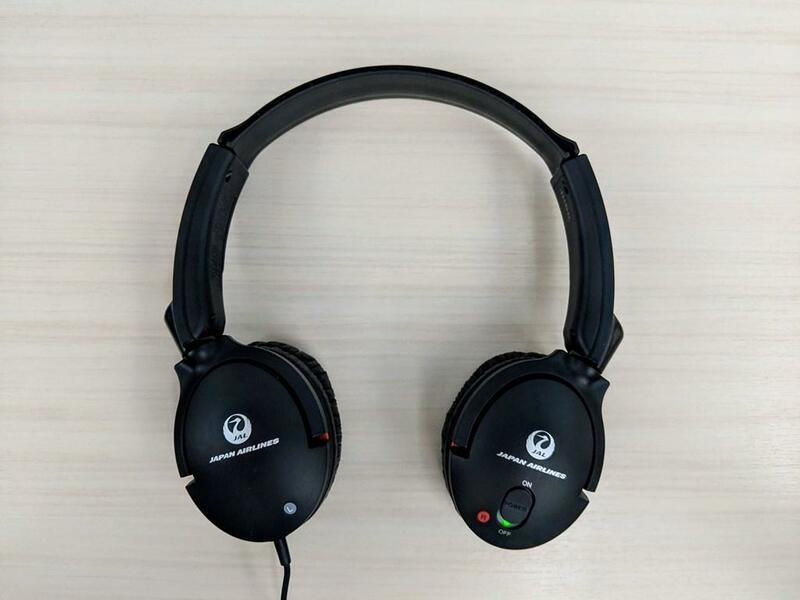 The Sony noise-cancelling headphones provide are comfortable, even while sleeping. Programs selections are accessed via the LCD remote. To avoid the awkward pause mid-movie, passengers can order meals directly to their seat. 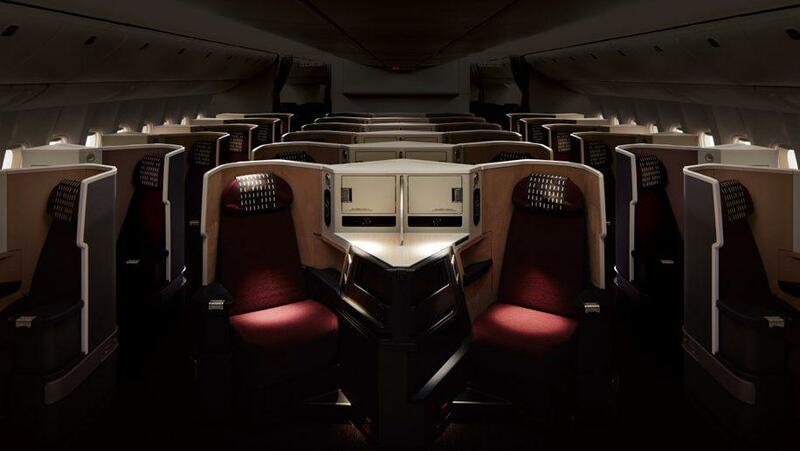 Japan Airlines provides inflight Wi-FI services at a cost to cabin class passengers. The service is complimentary for First Class passengers. 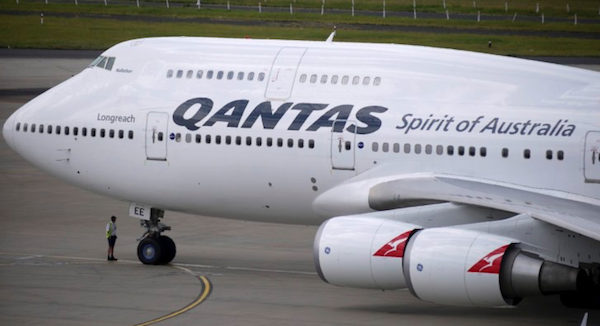 At the time of writing this review, reward bookings for the flights cost 72,000 Qantas Frequent Flyer points and $313 in taxes per person and were redeemed 9 months prior to departure on the Qantas website. 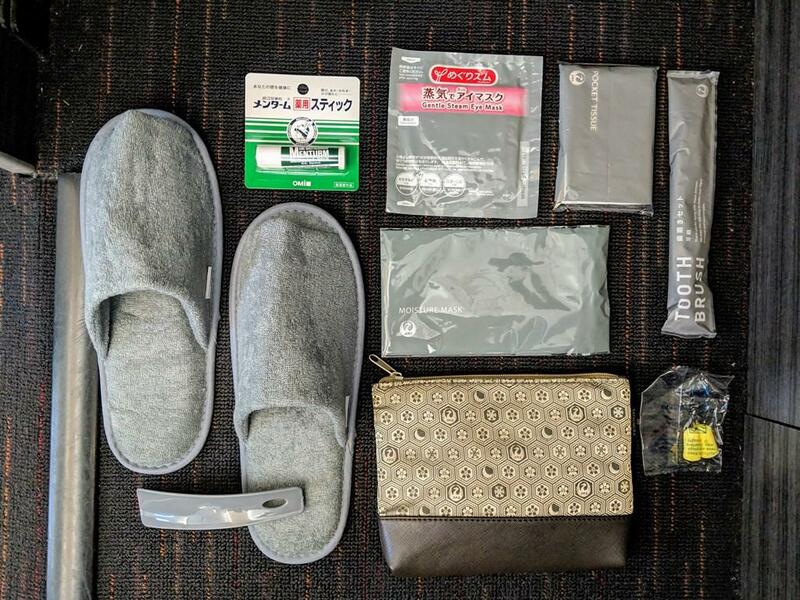 Qantas Frequent Flyer points can also be redeemed with partnered airlines including Cathay Pacific and Japan Airlines. 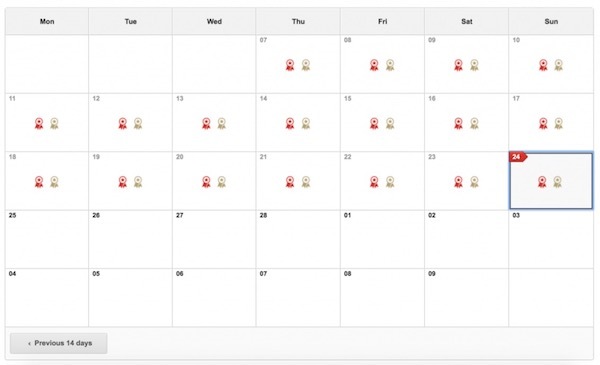 If you are booking internal flights within Japan, I recommend securing flights through JAL’s Japan Explorer Pass or the All Nippon Airways (ANA) Experience Japan Fare. 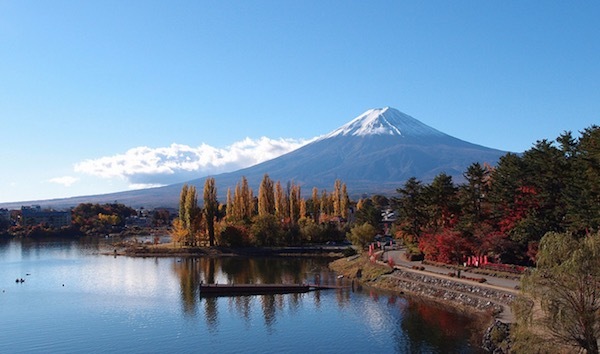 These airline programs give passengers living outside Japan to fly between AU$66-133. 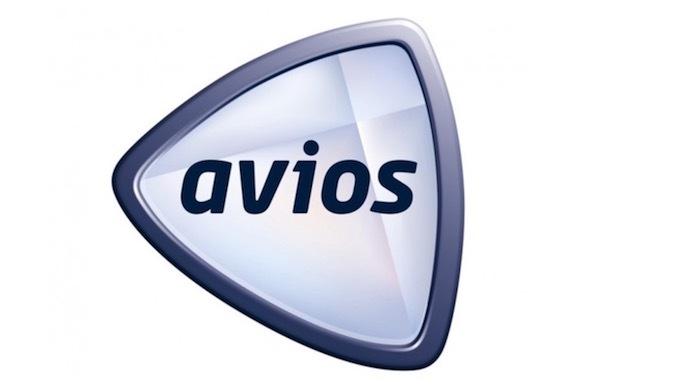 Alternatively, the use of British Airways Avios redemption is another cost-effective for internal flights in Japan and with Qantas Business Class throughout Australia and New Zealand. To avoid disappointment, I recommend researching and booking flights well in advance. 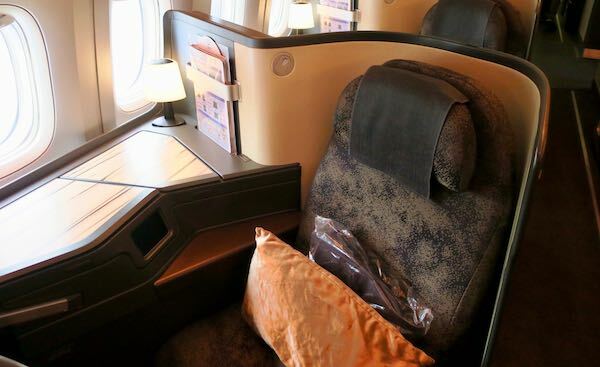 For more information about the availability of award seats read when frequent flyer programs release award space for redemptions. 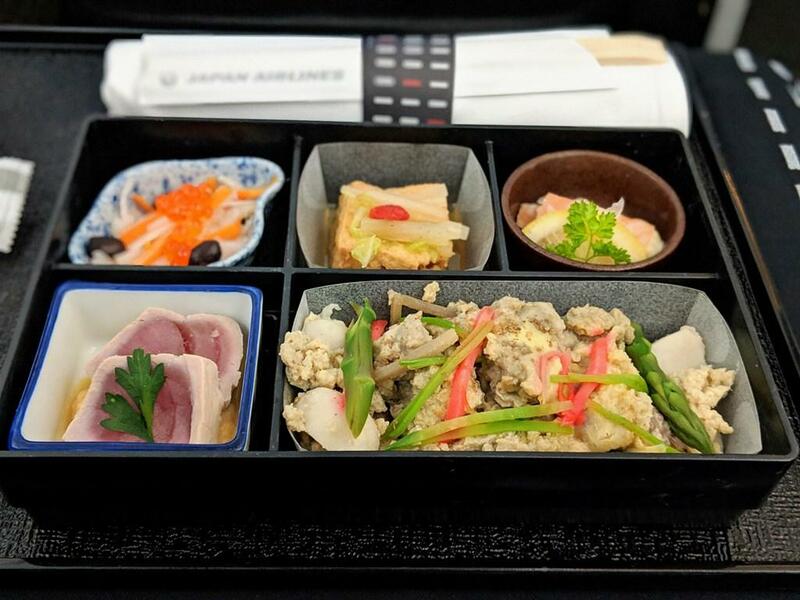 Japan Airlines Business Class Sky Suites is comparable to a mini-experience of the country. A conservative sleeping capsule, designed to optimise the surrounding space and a decent variety of dining options ready and waiting for you. Flying with JAL was overall a phenomenal experience. Individual cabins feel like your own private nook with a huge TV a few feet away from your sofa. Cabin staff are attentive without being too intrusive and I can not overlook the kindness and professionalism of JAL personnel from the check-in staff to the flight crew. Other than my wife’s declined request for a fourth serving of ice cream off the ‘Anytime time you Wish’, I heartily recommend flying with Japan Airlines. I, for the life of me can’t find any direct flights with JAL in the Qantas FF log in search. I know JAL release their rewards seats 330days in advance but still nothing on the Qantas site (all searches come up with zip!). 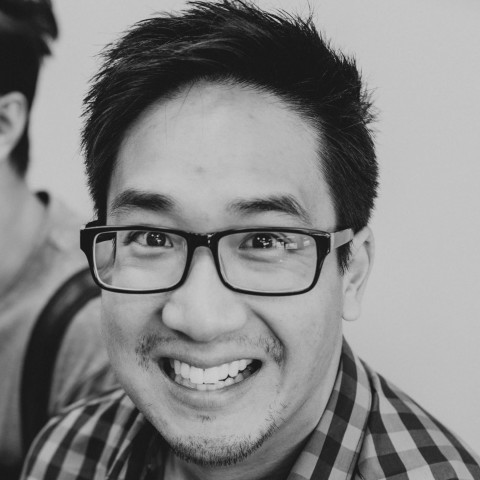 My next step is calling them – is it me or am I missing something with my search? I did a quick search from Sydney to Naria on 4 February 2020. There’s a flight (same one I flew with) departing 9:15 am. What did they say when your wife asked for a 4th serving of Ice Cream? “Gomen nasai, we only allow 3 servings of ice cream per passenger”? 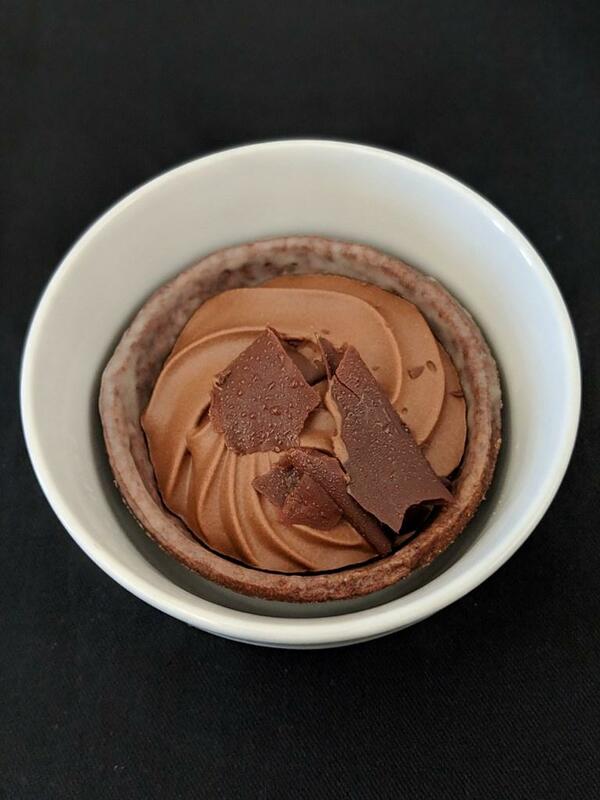 HA – She was very polite and said perhaps later in the service in case other guests want ice cream as well.